If you’re moving into a Toronto condo in the near future, you could experience some high-tech wizardry! Anyone who watched the reality series about Candy Spelling downsizing from the 56,000 square foot Spelling Manor would have been wowed by the hydraulic TV she had installed under the bed or the bench in her walk-in closet that would rise up to the perfect height to pack a suitcase, but how many of us actually have homes with high-tech gadgets? 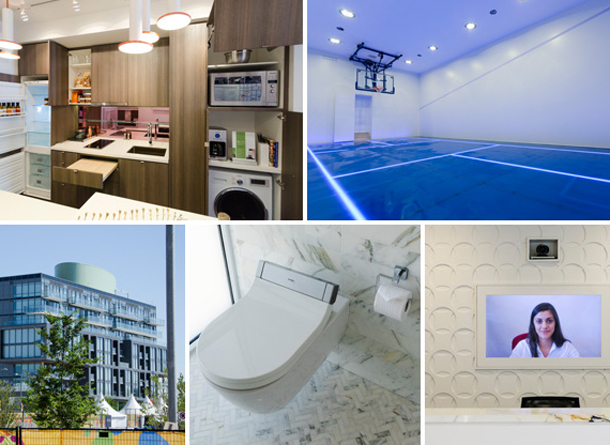 Toronto Life recently published an article with seven high-tech features coming to a condo near you, including virtual concierges, hideaway kitchens (for the smaller units) and, you got it, remote controlled everything, from thermostats to baby monitors. (Unless your unit is already wired for it, installation starts at $25,000). To dip your toes in the high-tech water or for something a little more affordable, why not check out this wi-fi enabled coffee maker or crock pot.